In the comic strip Garfield, named after its main protagonist, the infamous cat, there is a scene when Jon, the owner of Garfield, catches his cat using his toothbrush and is about to desecrate his master’s dental floss and mouthwash as well. Jon, visibly shocked, exclaims in exasperation, “Is nothing sacred?” Obviously not in the case of Garfield. His over familiarity with his master Jon had led eventually to this “sacrilegious” act. When it comes to contemptuous familiarity, there is nothing which is off limits, no taboos considered too sacred to be violated. Any trace of respect and reverence is cast to the wind. Ironically, the closer we get to something or somone, the more apparent are his flaws. Evidence of this all too human experience is found in today’s readings. The poignant experience of Jesus in his hometown, where the people’s familiarity with his humble beginning made them contemptuous of his fame and suspicious of his newly revealed wisdom and mighty deeds, is already prefigured in the sufferings of the prophet Ezekiel in the first reading. The rejection of the prophet is understandable. Indeed, a prophet must speak, whether or not people listen. He must act, whether or not people accept him. His speech is not meant to be flattery but is at the service of Truth – the truth of what God has ordered him to say. His job was to remind the people that fidelity to God was more important than consorting with the world. The people’s familiarity with the prophet provides the necessary excuse for them to close their ears and hearts to his words. In the last few decades, we have witnessed a widespread decline in the “sense of the sacred” in many areas of culture and society, and even within the Church. There are many different causes for this loss. One of the main reasons is of course the growing contemptuous familiarity we have with the sacred. This growing culture of contempt ranges from the subtle to the flagrant. More subtle are the humorous presentations of things that are sacred: the puns and jokes derived from scripture, the comical presentation of clerics and nuns or the mockery of piety and religious devotion, with a suggestion that these are symptoms of mental illness. More flagrant is the manner in which our celebration of the sacred Liturgy has been transformed into something entertaining, marked by a greater casualness and carelessness that is diametrically opposed to the spirit of Liturgy. 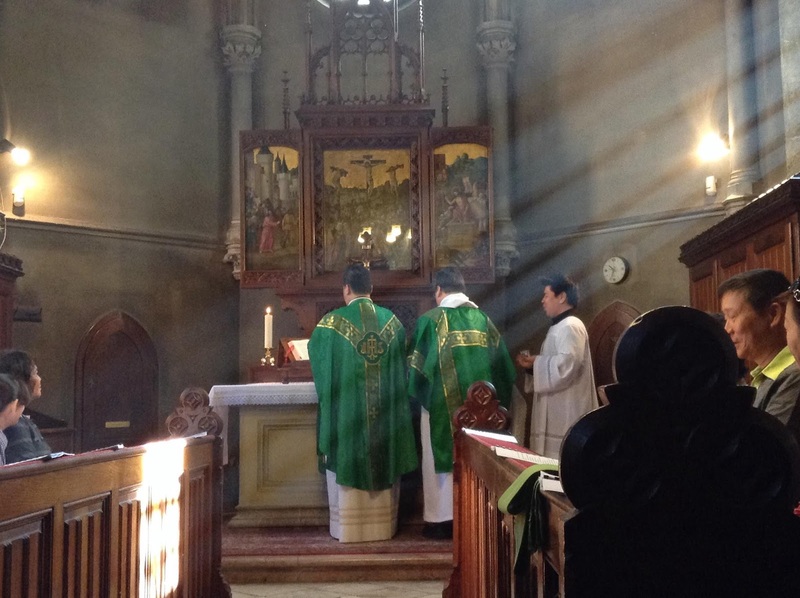 In spite of the insistence that there should be a proper decorum for church attire, very few parishes have made little effort to move away from the banal music, instead “hymns” are chosen to placate the secular taste of various sectors of the parish. It’s no wonder the call to “dress properly” generally falls on deaf ears. If one can’t tell the difference between the music you hear at a party with that sung in church, can you blame anyone for not being able to make the distinction when it comes to dressing? I believe that we have to assume the blame for this culture of contempt and for the loss of the sense of the sacred. We have spent so much time and effort trying to make Church appealing to our people by making it feel like home, creating space where people feel welcomed and comfortable. This is a grave mistake. Just like the role of a prophet, the liturgy is not designed to make us “feel at home,” at least not in the sense that we feel comfortable behaving the way we do at home while at Church, slippers off, pants down etc. The liturgy is meant to wake us up from our complacent stupour and shake us out of the lull of familiarity. It will naturally feel uncomfortable as the liturgy cuts us off from the intoxicating odour of the world. But stepping into Church should open up our sense to a new experience, it should expand our vision beyond this world. We should be made to exhale with wonder as we step out from one world and enter another the moment we pass through those doors. It should bring us to quiet attention. It should bring us to our knees. Sacred music, instead of entertaining us, should lift our gaze to the heavens wondering where it could possibly be coming from. The smell of wafting incense ascending should augment rather than distract us from our prayers. Shining threads woven into the priest's vestments should give us a glimpse of the magnificent beauty of the celestial court. Angels kneeling at the sides of the tabernacle inspire us to worship God in His majestic glory. Rays sifting through stained glass in varied hues illuminate the story of our faith. Bells that ring out and call us to be mindful that something sacred is happening here. The importance of having a sense of the sacred is simply this—if one does not appreciate holy things, one will eventually lose everything. Without reverence, the person will grow increasingly casual in attitude and lax in conduct. His feeling of accountability to God will diminish and then be entirely forgotten. Thereafter, he will care only about his own comfort and satisfying his uncontrolled appetites. Finally, he will come to despise sacred things, even God, and finally the truth about himself. Yes, when he loses the sense of the sacred, when he becomes too over familiar, he risks losing everything! This Sunday, as you sit in your familiar pew, singing songs and confessing creeds and praying prayers that are probably all familiar to you, don’t rush. Ease from running to jogging to walking to kneeling, and soak in the loveliness of the words that fall from your lips. They are the Lord’s own words. And instead of contempt, familiarity with the sacred should breed something quite different, something quite beautiful, a comprehension of a divine love for you that knows no bounds. And therein lies the miracle!